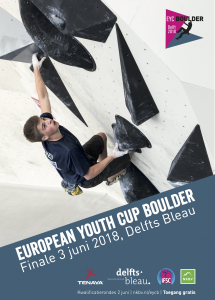 In cooperation with the NKBV and the IFSC we’re hosting the European Youth Cup Boulder (EYCB) on 2 and 3 June. It’s the first time an EYCB is organised in the Netherlands and this event gives a lot of Dutch youth climbers the opportunity to compete against European youth at a top level. Chief Routesetter is Jacky Godoffe in close cooperation with Michiel Nieuwenhuijsen. Delfts Bleau is open for competitors and their company only on Friday 1 June (registration and technical meeting). Spectators are very welcome on Saturday 2 June (qualifcations) and Sunday 3 June (finals). With over 200 competitors from all over Europe a schedule is required to make sure everything runs smoothly. Whenever you step by on Saturday between 8 and 21h there will be climbers competing and doing their utmost to reach those finals. You cannot boulder yourself during the weekend but luckily a part of the qualification boulders will still be in the wall the week after and this is the best chance to learn about nice bètas. The finals start on 8.30h on Sunday morning and the last finalists will finish around 16.15h. There’s no entrance fee and we’ll put up a big stand in order for everyone to have a good view on the boulders and the finalists. Do you like watching but do you prefer being a part of this all? Those holds will need brushing and brushers are very welcome to help out (and will be very appreciated by the climbers). 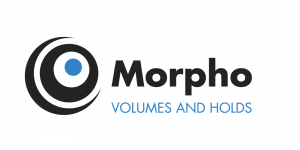 If you cannot make it all, no worries, there’s a livestream!